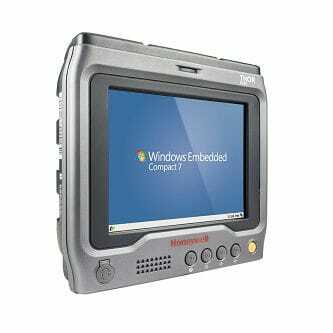 ZEBRA EVM, VC80, 10 (1024 X 768), STANDARD, STANDARD DISPLAY, INTEL E3845 QUAD CORE, 1.91 GHZ, 2 MB CACHE, 4 GB RAM, 64 GB SSD, WINDOWS 10 IOT ENTERPRISE, ENGLISH, TEKTERM, BASIC IO PLUS ETHERNET, I Barcoding Store, powered by Strategic Mobiltiy Group, LLC (SMG3) offers globally recognized products and industry-leading solutions to enhance your organnization's productivity. Combining optimal search functionality and industry-leading products from Zebra, Honeywell, AML, etc., Barcoding Store creates a superior shopping experience unlike any other withing our industry. ZEBRA EVM, VC80, 10 (1024 X 768), STANDARD, STANDARD DISPLAY, INTEL E3845 QUAD CORE, 1.91 GHZ, 2 MB CACHE, 4 GB RAM, 64 GB SSD, WINDOWS 10 IOT ENTERPRISE, ENGLISH, TEKTERM, BASIC IO PLUS ETHERNET, C Barcoding Store, powered by Strategic Mobiltiy Group, LLC (SMG3) offers globally recognized products and industry-leading solutions to enhance your organnization's productivity. Combining optimal search functionality and industry-leading products from Zebra, Honeywell, AML, etc., Barcoding Store creates a superior shopping experience unlike any other withing our industry. ZEBRA EVM, VC80, 10 (1024 X 768), STANDARD, STANDARD DISPLAY, INTEL E3845 QUAD CORE, 1.91 GHZ, 2 MB CACHE, 4 GB RAM, 64 GB SSD, WINDOWS 10 IOT ENTERPRISE, ENGLISH, TEKTERM, BASIC IO PLUS CAN-BUS, IN Barcoding Store, powered by Strategic Mobiltiy Group, LLC (SMG3) offers globally recognized products and industry-leading solutions to enhance your organnization's productivity. Combining optimal search functionality and industry-leading products from Zebra, Honeywell, AML, etc., Barcoding Store creates a superior shopping experience unlike any other withing our industry. ZEBRA EVM, VC80, 10 (1024 X 768), FREEZER, STANDARD DISPLAY, INTEL E3845 QUAD CORE, 1.91 GHZ, 2 MB CACHE, 4 GB RAM, 64 GB SSD, WINDOWS 10 IOT ENTERPRISE, ENGLISH, TEKTERM, BASIC IO PLUS ETHERNET, IN Barcoding Store, powered by Strategic Mobiltiy Group, LLC (SMG3) offers globally recognized products and industry-leading solutions to enhance your organnization's productivity. Combining optimal search functionality and industry-leading products from Zebra, Honeywell, AML, etc., Barcoding Store creates a superior shopping experience unlike any other withing our industry. 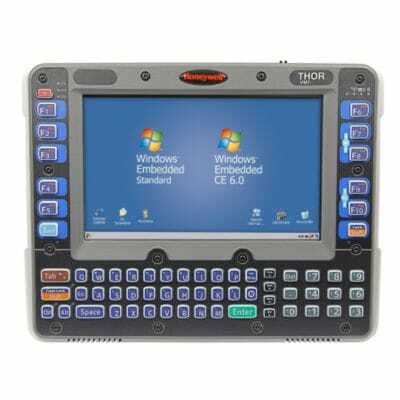 ZEBRA EVM, VC80, 10 (1024 X 768), STANDARD, OUTDOOR READABLE DISPLAY, INTEL E3845 QUAD CORE, 1.91 GHZ, 2 MB CACHE, 4 GB RAM, 64 GB SSD, WINDOWS 10 IOT ENTERPRISE, ENGLISH, TEKTERM, BASIC IO PLUS CAN Barcoding Store, powered by Strategic Mobiltiy Group, LLC (SMG3) offers globally recognized products and industry-leading solutions to enhance your organnization's productivity. Combining optimal search functionality and industry-leading products from Zebra, Honeywell, AML, etc., Barcoding Store creates a superior shopping experience unlike any other withing our industry.